It’s not long now until Assassin’s Creed IV: Black Flag hits store shelves, and Ubisoft is doing its thing with the usual string of walkthroughs. In the latest demo we see familiar features like climbing viewpoints, but there’s also footage of new underwater exploration. With the use of special equipment, Edward Kenway will be diving underwater, finding sunken treasure, and even stumbling on the occasional cave. Check out the pirate-filled action below. 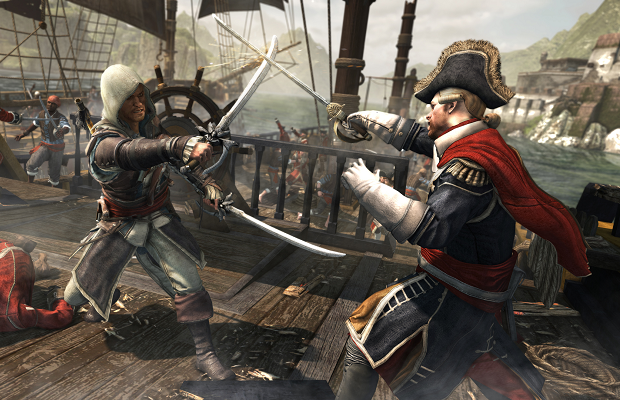 Assassin’s Creed IV: Black Flag will hit the 360, PS3, and Wii U October 29th, with PS4 and Xbox One versions arriving with the launch of the consoles. A PC version is expected sometime later this year.